Rob and Roy discuss what technology is essential for mental health clinicians in private practice. They are joined by guest Melvin Varghese, host of the popular Selling the Couch podcast. 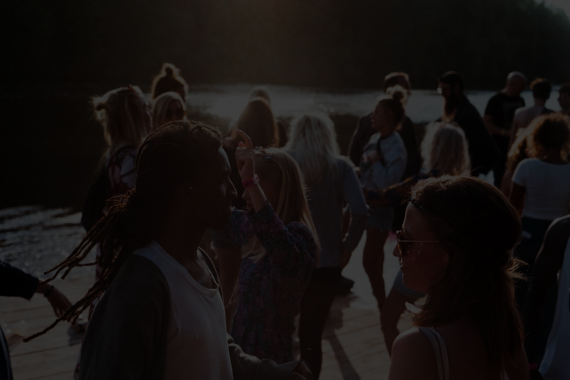 Healthcasters – Melvin Varghese’s educational and support community for podcasting! Note about SFax: Since we recorded this episode, SFax was acquired by a big company and changed their pricing scheme entirely. They are no longer affordable for small practices at all and we no longer recommend them. Unfortunately there isn’t a slum dunk alternative. So in the meantime, see PCT’s review page of HIPAApropriate products that offer online fax service. Do you need both a secure messaging AND a HIPAA Friendly email account? Web Presence – Is Psych today/Good Therapy enough? Why is a web site important? Do you need an EHR? What are the benefits? Guest Spot – Melvin Varghese – Is podcasting for you? Speaker 1: Therapy Tech with Rob and Roy, the most fun therapist can have listening to a podcast about technology. This episode of Therapy Tech with Rob and Roy is brought to you by Therapy Appointment, you provide the therapy, we'll provide the rest. Find out more at www.therapyappointment.com. Rob: Hey, everybody, I'm Rob from tameyourpractice.com. Roy: Hello, everybody, I'm Roy from personcenteredtech.com. Today we have our first episode, this is What Tech Do You Need In Private Practice? Generally this one's about what tech do you need in private practice, we're going to go through what we see as the essentials and we're going to tell you what they are. Rob: That sounds like that could be a lot of information, Roy. Roy: That's true, really what you want to know is this one's a survey, and of course as we continue doing this podcast we're going to do a deep dive in most of these topics. This one should be kind of a checklist, but you want to stay tuned for future episodes in order to find out about what you want to do with each of these items. Rob: Speaking of future episodes, we'd love to hear from you, tell us what you'd like to hear about in future episodes as well. Roy: Absolutely. Let's get started. Rob: Let's talk about some basic necessities. One of the things people just have to have in their practice. Roy: Right, I figure some kind of chair, right? Roy: The first thing you need and a [crosstalk 00:01:23]. Rob: Chair is a good ... A lot of people are doing the whole walk in the park therapy thing. Roy: That's true. I guess the chair is not even essential. Roy: Man, technology changes all the time. Rob: But we probably should focus on tech, because we already are going to have too much to cover. Roy: That's true. Okay, all right, let's put furniture aside, especially because sometimes you don't need it. Well, in that case then I'm guessing this is one of the most essential things you need these days, and most of us start to get kind of antsy if you don't have it, which is internet access, right? Rob: Exactly, and then I think that connects to a lot of the things we're going to talk about, a lot of the other services that you're going to want to have you got to have internet access to use them. Roy: That's true. What are the different ways we could do internet? The thing is, again in my office for example, we don't actually have a cable or a DSL or any of that kind of stuff, we can't get that in our office. We had to put ... we actually use cellular hotspot, it's actually based on phone service in our office. What do you guys do in your office? Rob: We've kind of got a mix, there's a shared internet connection for the building, but then for security reasons we use a cabled connection to that and set-up our internal network. There's lots of ways this can be set-up. Roy: Right, I assume that shared one is probably through wifi. Rob: Both, there's a shared wifi, but there's also ethernet, where you can actually plug in. Roy: Okay, and of course you said something about for security reason you can't just use that one, and we're probably going to have to wait 'til the episode on HIPAA before we can really explain why that is, but in the meantime, right, that's the thing. You want to be careful about shared stuff in your building, generally you don't want to use it. Rob: Right, and even cautioning your clients when they come in about guest access and what that means and so forth. Roy: That's true, if you can set up guest access just for your clients that's good, but otherwise you don't really want to share the same internet you use to say, access your e-mail or your record system online with anyone else, including clients. Roy: That's part of why the hotspot thing can be a really convenient alternative. If you don't have another wifi available or another way you can get a cable, like an ethernet or a cable or DSL, you can actually just get like a hotspot, like a cellular hotspot, just a little device that can connect to a cellular service and create a spontaneous wifi network. That's a really great fallback if all else fails. Rob: Right, and I think the biggest issue there to watch out for, be sure you're aware of, is what your data plan is on your [crosstalk 00:03:56] hotspot. Roy: That's right. That's true. Rob: It's going to use up some data, you want to make sure you've got a nice healthy chunk of data in your plan. Roy: That's right. That one might get used up pretty fast if you're doing video-based telehealth or if you're just watching Netflix. Roy: You're going over videos with your clients, that's the only reason you're watching Netflix on your office network. Rob: You said something important right there, you talked about how, "Hey, there are some," and I mentioned there are some security and HIPAA concerns here. I can already hear the questions that people are formulating, definitely pay attention to our future episodes, where we'll take a lot of these subjects we talked about today, and get more into detail about the specifics of that. Roy: All right, well, that's a good survey there. What else do we need, Rob? Rob: We connect to the internet, that gives us access to all kinds of tools, anything that requires the internet, we probably need to talk about how we're connecting with clients, how are we bringing the clients in, and more and more these days, people are connecting to us via the internet. I know I get a number of e-mails through our secure contact forms. I think e-mail's a pretty essential tool. Roy: It's true. A lot of people don't yet know what a secure contact form is, and this is all audio so we can't show them. Can you describe it in enough detail that a person can imagine what that looks like? Rob: I can and I know that we both have a lot of resources in our website to add the visuals, and we'll certainly, as we record these episodes, include some links on the podcasting page so people can get the visual. But for now, it looks a lot like any old contact form you've seen on any old website, it just happens to be encrypted. Roy: It just happens to have that essential piece that you must have. Rob: Exactly, it encodes that message so that only the recipient can open it, and that's the important part. Roy: Right, and how do you ... If I go to your website I just type in to these little form fields on the webpage and I send it off to you, if I'm the therapist how do I get that? How does that stuff get sent to me? Rob: Well, with the service I use, which is Hushmail, it's just in your inbox. It's just there. It looks just like any other web-based e-mail application you've used before with your things on the side like inbox and sent messages, and so forth, and when you get a message it just pops right in there. You can even have it ping you if you have some other e-mail address that you would like to receive notifications at. It can drop you a little notification that, "Hey, you've got a secure e-mail in your Hushmail box." Roy: That's right, and they even have, Hushmail even has an app too. The secure contact form on my site is the main way people schedule initial consult with me. I'll get that little ping on my phone that says, "You got a new message on your Hushmail account," and I go look at it and I can immediately see that contact from the person and get back to them right there on my phone. Rob: Right. I found ... You tell me, I found that people really appreciate that. Rob: A lot of times they don't even ... clients specifically, don't even think about, when they're putting information to the contact form, the privacy implications, and when I explain to them or they see it on the website that's a really strong selling point for them. Roy: It is. Definitely my clients, they really appreciate that. They like that I'm thinking about the confidentiality and they also love that the little form on my page, on my website means that if they want to send me a secure message using ... like a real long message, like an e-mail-style message, they can just to my site and send one. They don't have to do any [inaudible 00:07:29] to send me information. Rob: Right, they don't have to install some new application or jump through hoops, those sorts of things, and they can even include attachments. Roy: Exactly, that's the big thing right there, for sure. Rob: Well, and I've had that [inaudible 00:07:44] with regard to referrals and collaboration with other providers as well, then being able to attach Release of Information forms and those sorts of things, and fill out referrals. Roy: I should probably say the companies we know that can provide this service to anybody are Hushmail and LuxSci, L-U-X-S-C-I. Those are the two we know that have this service. Roy: No, it's just called G Suite now. Don't worry once this episode is outdated, like in a year it will be another name and no one will know what we're talking about. Rob: Or even by the time we release it. Rob: It's essentially the paid Google Account, where they will sign a business associate agreement with you, but there's some other caveats to that, that we'll certainly get into as we ... We'll probably do a whole episode on e-mail and secure messaging communication, I'm guessing. Roy: Right, I think we will, right. I think right now the main thing we probably want to make sure we at least kind of touched on is the question of, "Do you get a secure messaging account and a HIPAA-friendly e-mail account?" Because they can be two different things, which is actually what I do. I have a G Suite with my business associate agreement, and I also have Hushmail. The reason I have both is mostly just because if I'm going to use ordinary conventional e-mail, which is not secure messaging, if I'm going to use that I want a really powerful software suite that you get from G Suite. I also want the other features of G Suite like the Google Docs and the calendar, those are very helpful to me to have those, but also it is also my main e-mail, my main conventional e-mail for my practice, but I have Hushmail for actually when I need to send really sensitive stuff to clients or so that I can get that secure form on my website. Hushmail is how I send Superbills to my clients for example. Rob: Right, because they include protected health information. Roy: Exactly, right, they're very sensitive, protected health information. Rob: Right. We do the same thing. We've had a collaborative practice, everybody's operating independently so using G Suite provides us a great opportunity to share each other's schedules and see some shared documentation. We keep resources for local providers and referral sources, and so forth. That's the kind of power you're talking about that comes with G Suite. Roy: It's very powerful. We should probably say that Microsoft 365 can also offer the same power for about the same price. Roy: For some reason people tend to prefer the Google though. I guess they're just more popular. Rob: Well, I think people are sort of used to Google because of the free applications that they've offered for so long, so everybody ... not everybody, but a lot of people have a free G-mail account and then they [inaudible 00:10:31] to using the calendar, they get used to Google Docs, and so they just ... it's just a natural thing to flow into the paid account, which looks virtually identical. Roy: Right, exactly, it does, minus the ads of course. Rob: Right, you don't have any ads on the paid account, and there's some additional features that you can use as well, some administrative features [inaudible 00:10:50] users and so forth. Roy: It occurred to me I need to disclose right here, I actually do some consulting for Hushmail, and Hushmail is a sponsor of Person-Centered Tech. I just realized I should probably disclose that since we're talking about them, but also we want to say that the services we're talking about you can get from Hushmail, you can also get from LuxSci. Then if you don't need a secure form on your site, if you just want secure messaging, like secure e-mail, sometimes called encrypted e-mail I can't even start to list all the possible options, at this point there's tens of them out there and they're all viable. You also can add-on for G Suite, so that G Suite can do your encrypted messaging. Rob: Right. Virtru, I believe. Roy: Yeah, Virtru is an add-on. Rob: That I heard people using. You know, disclosing I've got an affiliate relationship with Hushmail as well, and often help people incorporate the secure contact forms in their website. Rob: But there are plenty of other options out there if people prefer other paths. Roy: Now even though e-mail is big, e-mail is a big thing these days and secure e-mails, secure messaging, there are still people using that old thing called telephone, even though most of them are on new devices, smartphones and so forth. What's a good plan for a phone service? Rob: Well, there's the classic one that I do, the most simple, but not necessarily easiest for everybody, is I just have two phones. I have ... My main personal phone, actually is my iPhone, it's got all my cool smartphone gadgetry going on, and that's my personal line, but I still actually use it for a lot of business stuff, just not the voice service. I use the phone for things like running square or my secure texting, which we'll talk about in a second, all of that's on my personal phone, but the voice service on my personal phone is just my personal phone number. Then I added a family line, I added an extra phone number to the family plan and that's my practice phone number, and I have a little ... Well, it's basically a pay-as-you-go phone. It's just a phone you might buy at Target, it was like temporary, but I just took the SIM card, the little card you use to tie a phone to your own phone service. I just put the SIM card for my AT&T plan into there, so I got this cheap little phone as my practice phone. It's not ideal because it doesn't have the best sound, but I don't do a lot of voice calling with my clients, but it's available to them through this phone. Roy: I think I know my rationale for doing something like that, what's your rationale for keeping those two phones separate? Rob: Well, my rationale is primarily that being able to get a second phone number on my iPhone, and remain HIPPA-compliant is kind of expensive. It's a lot cheaper for me to go ahead and just carry the second phone. Rob: I don't mind doing so, because I wore cargo pants all the time basically. That's essential what it is, it's like I ... any kind of pants. Roy: I have 12 pockets. Rob: I am all about pockets. I'm aware there's a bit of male privilege in that, because apparently it's fashionably okay for me to have cargo pockets. Roy: You feel bad if you paid for all these pockets and then you don't use them. Rob: I know. Right, I paid for these pockets, I want to put another phone in them. Roy: But that's the thing you're really getting at, which is the whole, like having a second phone number on the same smartphone isn't cheap if you want to be HIPAA-compliant, because the free services like Google Voice and Cricket ... Cricket's, Grasshopper, Cricket's a phone service, sideline all of those, those are all internet phone services, with internet phone services HIPAA still needs you to get business associate agreements. You generally don't need the business associate agreement with your basic phone service, which confuses people a lot because they're like, "What's the difference?" I don't know, I'm actually going to throw that one at you, Rob, because I'm kind of curious what you would say. What's the difference between those? Rob: This is my line, and I think it will come up semi-frequently in our podcast, don't always expect HIPAA to make sense. Rob: When they wrote the law there were a number of loopholes addressed, and grandfathered some things, and so sometimes it doesn't make perfect sense. I think the key with the voiceover IP is you're getting into the digital ... you're diving well into the digital world at that point with another entity having access to that, and when they wrote the law said, "Well, these phone companies themselves, we have to grandfather them in or it would be too hard for them to deal with it." Rob: Kind of like with the banks and financial transactions. Roy: Right, exactly. I certainly heard also about the phone company's lobby to ensure that, that's the way it goes, but I don't [crosstalk 00:15:27]. Rob: Certainly they had something to do with it being written that way. Roy: Right. I'm actually ... Do you think there actually is a difference between a classic phone service, a classic phone service is going to be anything that used to be [inaudible 00:15:40], right? It's going to be AT&T, Verizon, Sprint, Cricket, any of those things, those are all ... you can get phone service with them and you don't need a business associate agreement for your phone service. Do you think really under the hood there's a difference between those, and internet phone services like Google Voice and Grasshopper and all that? Roy: Just yes or no, Reinhardt, come on. Rob: I think there are some differences when you get into the companies that run them and we get into a long discussion about the recent NSA and government implications of, "Is it Apple or this other entity can release information to the government if they asked them to?" It's pretty complex. Roy: It is pretty complex, I agree. I've actually looked into it a little bit, and my classic phone service does work under the hood a little differently from internet phone, but the thing is they still end up using the same cables now these days, which is part of why the distinctions a little strange, but when I've talked to some ... I've done a lot of talking to experts on this, just to see like, "Is there any sensible reason for this difference?" A number of people have said like, "Well, the way that internet phone services work, they can potentially be a lot more vulnerable to outside intrusion than the classic phone company." There is a bit of a good reason for that, which I think is reflected in the fact that there's lots of companies that are happy to give you a second line service for free, but the companies that will give you a HIPAA business associate agreement are far from free, they tend to be pricey. What's your experience with how much it costs to get internet phone service? Rob: It's all relative. I think you're absolutely correct, those companies that will sign a business associate agreement are more expensive. I don't think they're necessarily prohibitively expensive. Roy: I wouldn't say that. They're just like, for example like to get 8x8 service, I don't remember how much it costs, but it's tens of dollars a month. It's certainly a lot more than my second phone line with my little cheap phone from AT&T. Rob: Sure, and cost are always a concern for mental health clinicians that are opening up a private practice and so forth, but I always encourage people to look at return on investment and peace of mind as part of that equation. Roy: That's very true. That's very true. There's another trick you can do of course, that a student pointed out to me. Rob: I like your trick. I know what you're going to say and I like this trick. Roy: It's a great trick. It doesn't work everyone, it depends on your circumstance but ... Time for the Person-Centered Tech Hot Tech Tip. The first hot tech tip from Person-Centered Tech, that's my company, has to do with how you use one of those free second line services in order to get some kind of free service for your business phone. Something like Google Voice, which is free, would normally not be acceptable under HIPAA to use as your business phone, and for whatever reason you can go ahead and use that normal phone service, like the old Mobell stuff, like AT&T, T-Mobile, that kind of stuff, for your business line. Here is the thing you do, you go ahead and use the Google Voice to be your personal phone, because remember Google Voice will give you voice calling and texting through Google Hangouts, and voicemail, and all the things you want for your personal phone service. Rob: I'm going to move right along. Rob: Speaking of old school tech that's become new school tech, what about faxing? Roy: Faxing, what's ... Faxing? Doesn't that involve phone lines and pieces of paper, Rob? Rob: Yeah, and then there's always the question of, "Is it still even a necessity?" Rob: I think so. I think it's pretty hard to get away from it, even as little ... I have very little need to do outgoing faxes these days, but a lot of medical providers, especially who want to refer to me, they want to use fax, they built into their EHR or they're using and electronic fax service. A lot of the insurance providers are still relying on ... insurance companies are still relying on fax, so I think it's pretty difficult to operate without it, some sort of fax. Roy: I agree, and that's why I like ... For me, the kind of kicker here is how do you make sure you have fax available without spending really much at all in order to get it, right? Roy: That's why you and I both have a particular company we like, which is Sfax, S as in some, fax, and that's all online. I think I'm grandfathered into an old account with them, the costs, I just pay a low fee per year. When I've talked to people now that apparently that I'm grandfathered, and that's not available anymore, but it's still pretty low cost. Rob: I'm on that same plan, but I think the monthly cost for it is still very affordable. Roy: I think so. First, I used to look at it and go, "Man, that's a lot per page that I'm actually going to send and receive over the course of the year," but when I need that fax, I need that fax. I'm usually talking to a colleague that wants to refer to me or they need to coordinate care or something personal. Rob: It certainly beats the cost of having a dedicated fax machine and phone line that's connected, with the paper and toner, and all that fun stuff. Roy: That is very true, sir. That is very true, and also having a phone line to run it on. Okay, that's communication stuff, Rob, but how about ... They always tell me that there's this new thing you need called a website or just a web presence. What do you think about that? Rob: We're kind of getting back to, "Hey, how do we connect with clients?" The fax isn't so much part of that, but certainly having a website is more and more these days. I've been in practice for over 10 years, I've got a pretty well-established referral network from other providers, but I still ... I get a preponderance of new clients who find me via the internet, who either call or contact me through that contact form on the website. I think that's pretty much a necessity these days, well, some kind of web presence. Roy: What if I just get a Psychology Today Profile? Then I've got a website, it's got my picture and everything. Rob: Yeah, and I do think that works for some people in some limited capacity, there's a few factors involved like, "What's the saturation in your area?" If there's a 100 therapists in your zip code you're not going to pop up on that first page all that often. We don't have a lot of control or where you show up, Psychology Today appears to still randomize the search results when people search by zip codes. You may be on the front page for a week and then who knows how long until you're on there again. Rob: If there's only five of you in your zip code that might work out pretty well, because they do put a good bit of money into search engine optimization and showing up at the top of the results. I've also found over the years that people really appreciate being able to go to my site, read more about myself and my practice, be able to access the intake forms and other materials before coming in. I think it's a great benefit to have a website presence. Roy: I agree. I definitely had clients who told me that they choose to come to me because of something relating to my website. I don't think it's in like what I said on it, but it's just something about the site itself, like it was nicely designed. One client actually told me he could tell my search engine optimization was good, he figured if I can do that right I can probably do counseling right, which is kind of funny. Rob: Right. Right, especially since you are kind of trying to connect a lot with people in the tech realm even in your counseling work. Roy: Right, that's true. This was at a time when I wasn't even trying to do that, but I ended up attracting those folks anyways, which is cool. Rob: I've had the same experience where I've had ... The important thing in getting clients in our door is establishing that first connection, establishing rapport, having them feel like, "Hey, you therapist, you feel like a good fit for me. I feel like you're going to probably be able to help me." I've had that experience many times, where people say, "You know, just looking through your website I got that feeling." That's like definitely have more control around your own website than on a Psychology Today listing, where they all look mostly the same, other than the words that you put up there, whereas with the website you can really personalize it and make that connection. Roy: Absolutely. I totally agree, and Psychology Today profiles and also goodtherapy.org by the way, it's also a very good one. Build then a call to action in your profile, but it's always ... it's just sort of what they have available. I want to do the call to action on my site my way. I want my way of having people initially contact me. For me, even though I love goodtherapy.org, initial contact through their profile isn't quite the way I wanted and that's another thing that I like about my website. When people see you have a site and they go to find your profile, they're probably going to go to your site before contacting you. Rob: You can do so much more with your website, in addition to customizing you can have videos and pictures of your office and all kinds of other things that will help you connect with those clients. Roy: Videos, that reminds me there's a guest we got to get on here. We [inaudible 00:25:02]. Rob: Right now we both have somebody in mind for that. Roy: Right, okay. All right, one thing we haven't mentioned, Rob, we probably should have some way of keeping records. Rob: Now the clients are here, they're coming in, they're seeing us, we have these requirements for documenting things, don't we? Roy: Maybe you do. I guess I do too. Okay, all right, what's the best way to do it? Is there a one best way? Rob: I don't think there is. I've been through consultation [inaudible 00:25:35] worked with providers all over the country and I really think it comes down to creating a model and using tools that work for you. I'm a big EHR guy and we're going to talk about that in a minute, I often find that's beneficial, but I've also worked with people that are ... Just this one example, a lady who's been doing therapy for years, she knows she's going to retire within two years and she's always done paper. Is there really any benefit for her to do everything electronic when she's winding down, closing her doors in a couple of years? I don't think there is one set solution that works for everybody. I think everybody needs to look at, "Hey, what are my specific needs for scheduling, for notes or billing? Am I solo practitioner or a group practice? Even if I am a solo practitioner do I want to grow to be a group practice? What do I need to put in place to make all of that work?" Roy: Right, and that's a really good point because ... Do you want to jump into the EHR question? That's next on our list. Let's do it. Rob: You know we're kind of floating into this in between. We've been talking about things you absolutely have to have, and you absolutely have to have some kind of record keeping. Now we're just going to talk a little bit about some things, well, maybe you don't have to have these things, but there's probably a good reason to have them for a lot of people. With an EHR Integrated Practice Management System you might be able to get all these stuff scheduling, and notes and billing all in one place. If you work with insurance you can even readily file insurance claims and get your ERAs posted back through the EHR. It's a real time-saver. Roy: When I think about the idea, I don't actually do insurance, this is a great pairing because you do insurance and I don't. I can talk more about the cash-based, pure cash-based, and the differences. For you, like when I think about the idea of dealing with insurance I shudder, but I've noticed how the practice management systems are starting to integrate that and make it simpler. I actually started to ... I've actually felt the pull of [inaudible 00:27:31], they want to get paneled then, maybe if it's simplifies like that I could get paneled. The reasons I don't have nothing to do now with that simplicity issue, because some of those practice management systems do a great job of making it a lot easier to bill insurance. Rob: You're right, lots of people have some issues with dealing with insurance that have to do with diagnosis, and having to do things the way insurance wants you to do and so forth. EHR certainly don't address that piece, but another barrier to insurance in the past has been the expense and time investment of filing claims and keeping up with them. It certainly has been my experience in talking with people across the country that where the EHR's now really addresses that, and makes it much less of a burden. Roy: Absolutely. If it even makes me consider insurance you know it's got to be pretty powerful. Roy: Those other reasons are the reasons I still stay off it, but the other thing about EHR though, is I'm also thinking about the call to action on my website for example. Right now the call to action is to get the person to go to my secure form and fill it out or call me. I give them both options. Let's not ... 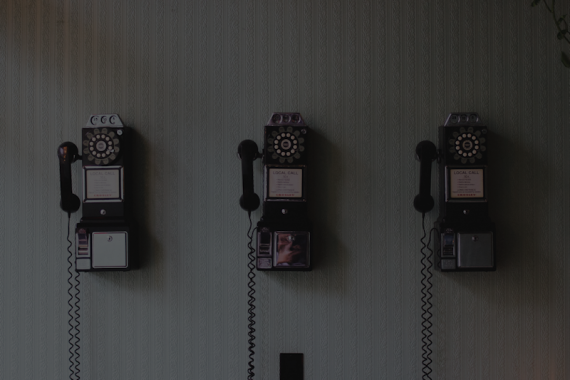 The most solid call to action, the most solid call to action would be that they actually schedule that consultation immediately, that's the most solid marketing piece. One of the cool thing with a lot of the practice management systems is they have scheduling. I could set-up, and I see this with a lot of people who have a great website set-up to do sales funnels and a call to action, and all that good marketing stuff, where their call to action button takes a person right to the scheduling on their practice management system, an this new potential client can immediately schedule a phone consult with him. That's fantastic. I'm considering getting a practice management system just for that, just that one thing. Rob: There are other ways you can address that, if that was the only thing you wanted there are scheduling systems out there like Acuity Scheduling and Full Slate, and Yellow Schedule, but they're not going to have everything integrated in one place, your billing and so forth. Roy: That point I'm not necessarily using the billing on this system too just because I've got it, even though I probably wouldn't use the notes. I still like my paper and note system. Rob: Right, but that's a significant draw for people to use that, especially people that are starting out in practice or have regularly open spots, being able to have people schedule at their own convenience. Roy: For sure. We're going to probably have a whole episode on EHRs. There's a lot we can get into there, but talking about those pros and cons makes the difference, because these days these systems are really fully featured. I guess there's one more question, Rob, I think you should address in this episode, which is, "Which is the best one, Rob?" Rob: The best one is the one that fits you best. It goes back to what I was saying originally, no one system is the best fit for everybody. Rob: People have unique needs. I talked to some people who say, "I don't want clients to be able to schedule online. My schedule stays pretty tight, I want some control over who schedules when. I don't want this person who's canceled three times in a row on me to be able to keep going and rescheduling." Rob: Some people, like you said you're not dealing with insurance, and someone else may be doing a ton of insurance work, and just that one point of decision may make you each choose a different system based on the strengths of that system. Roy: Right. Another one to consider for example is some systems actually have built-in tools to help with treatment planning. In other words they just have a box where you type notes, that's it. Rob: That's a service I've certainly offered over the years that's helping people pare that out, but also I cover a lot of reviews on Tame Your Practice. Roy: Definitely everyone who wants to check out Rob's reviews before you choose a system. Well, how about my favorite topic? Don't you text with clients, Rob? Well, we didn't talk about that before. Rob: Let's talk about that. Again, this is one that's not a necessity. I don't think there's any requirement that anybody texts, but it's kind of becoming more of a thing that people have to at least address in some way, because people more and more are using texts for communication. Roy: What's kind of funny is when we set-up the agenda here you were saying, "This is an in between, because it's not something everyone has to have." I was like, I'm like, "I don't know about that," but I realized of course you don't because you don't have to text with your clients. You don't have to give in and say, "Yes, I'll do that." If it's really not going to work for you, you don't have to, but the challenge I see is that everyone I've talked to who has a office policy that says they don't text, ends up getting texts from the clients anyways, which is why I advise people, "Nip it in the bud." Be proactive about setting up the solution you have for texting, whether it's a policy-based one in which you make it very clear to clients what you're going to do if they text you or you actually just go ahead and set-up the way you're going to do texting. Make sure it's a way that's appropriate for you and your practice. Rob, you have a good story about how you do that one? No, it was actually one of my old students who told me this one. Sorry, I thought it was you, Rob. He told me his ... The thing he did was he is offering people secure texting like I do, I use Signal to do that. People, we're going to put a link on our sites to my review of Signal, so you can also see my notes on what you need to do with Signal to use it properly. Please read those before you use it, but Signal's a free secure texting service and I moved my clients to it. I was talking to an old student who's setting up his private practice, and he said he told his clients, "So here is this texting thing, and I want you to use a secure texting if you're going to text, because if you send me a normal text I'm just going to call you back anyways." That was interesting, he said, he's like, "I'm not going to text you back, I will call you back." It was interesting because after he said that he didn't get a single ordinary text, and all of his clients call him. They don't even use Signal. Roy: They're not texting at all, which is totally different from my experience, and I think it's that piece where he said to them, "Policy-wise if you send me an ordinary text I will simply call you back." He actually has clients say to him, they're like, "You're the only person I call in the entire world," because of the way he set that up they do it. Rob: Well, and that's why people need to at least have some plan or way to address this, because it's just a natural mode of communication. You've got to know at least what you're going to do about it. Roy: Exactly, right, that's why I say it's either policy-based or tech-based or whatever it is you should be proactive. Roy: Right, and last one is ... depending on how you keep information, you might need to back it up. Rob: To be clear, this is only on the in between section, is it really a necessity because there are some people who may not be storing anything they need to backup. Rob: We're talking in the context of your practice. I think most people have something personal that they probably should be backing up, but in the context of your practice, if you're doing everything through cloud-based services, and you may be able to rely on those third party vendors who are complying with HIPAA and having redundant backups. You may be able to rely on them doing that piece, but if you are storing anything, even if it's just your QuickBooks, your business accounting information, anything that you're storing that would be integral to your practice, you need to have some kind of plan for backing that information up. Roy: There's a couple of ways to do that, which I think we'll get into more details about in future episodes. Rob: Absolutely. Wait, it sounds like somebody's at the door. Roy: Oh, hey, who is it, Rob? Rob: Oh wow, it's Melvin Varghese. Roy: Melvin, I love that guy. Is he here to talk about podcasting? Rob: Oh, that's awesome. I can't wait to hear what he has to say. 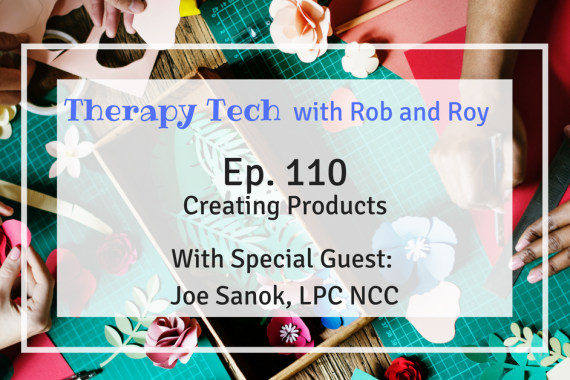 This episode of Therapy Tech with Rob and Roy is brought to you by Therapy Appointment, you provide the therapy, we'll provide the rest. One thing I like about Therapy Appointment is the number of mental health professionals in the executive team. At Person-Centered Tech, we found that it tends to translate to better features for mental health professionals, and better responsiveness to our needs. How about you, Rob? Rob: Therapy Appointment is one of the EHR's that are focused on mental health professionals that has been around the longest, and one of the first with a client portal. I'm very interested to see what they do with their latest update. Roy: Well, no, you are RoyRob for that $1 set-up fee and the first month free if you use RoyRob. Roy and I are very excited to have, what we feel is a very fitting guest for our very first show. Melvin Varghese is a licensed clinical psychologist, as well as the creator and host of the wonderful and incredibly popular Selling The Couch podcast. I have to imagine if you're listening to this, you probably already heard of Melvin and Selling The Couch. If by chance you have not, we highly recommend that you add it to your playlist. Roy: How can you listen to podcasts if you haven't listened to Selling The Couch? What's wrong with you? What's going on? Rob: Melvin, thank you for joining us. We're delighted and honored to have you here for out first podcast. You've been hitting some amazing milestones recently. Melvin Varghese: Yeah, lots of growth. Roy, Rob, I'm so grateful to be here. I think I'm just more happy, this medium of podcasting has allowed us to build a friendship. I just don't know of any other way how we would have connected logically. Roy: Right, absolutely, that's true. Rob: You've connected with ... You're on episode, you're coming up on 120 now? Melvin Varghese: Yeah, 120 releases this week. Rob: Wow. You've met an incredible number of people through your podcast. Melvin Varghese: Absolutely. I think I was just happy to do the first couple of them, and then ... I take one step after the other, and I guess before you know it you're in 120. You're like, "Am I still doing this?" Rob: You still ... I know you've adjusted your schedule recently to take some larger breaks, but you're still broadcasting at least, what, one a week? Melvin Varghese: Yes, once a week. We basically go January through May, and then take a break in June, and then go July, all the way to the week of Thanksgiving, and then take a break from Thanksgiving through December. Roy: That's a good plan, I like that. We have to take that as a model there, Rob. We'll have to remember that. Rob: Something to work toward, then vacation plans in the summer? Roy: That's probably a good idea. Melvin Varghese: That was it exactly. Summer, that June tends to be when we travel or have folks visiting, and then November, December tends to be holiday season. I'm starting to get also involved in some kind of bigger charitable things, and part of that I think is probably going to involve some travel into India for the next couple of years. Melvin Varghese: December is a pleasant weather in India. Roy: Now I really see it. Rob: Well, I think it's a ... I love the idea, I love the message of build a career on your life, and certainly for us private practitioners, a lot of that means being able to make sure your private practice is abundant. I know that's why Selling The Couch makes sense because there's the idea of making sure you've got clients interested in you and knowing about you, and matching well with you, that you're not worried about that part. You just run your practice and then to your life. Roy: I mean that's actually kind of leads into the first question, right, Rob? Rob: Yeah, we're wondering who's a good fit for starting, who should consider starting a podcast? Melvin Varghese: I think maybe a little background story would be helpful, but I think when I first started my podcast in 2015, a lot of these was ... Well, I invested in a lot of conferences, a lot of mentors, and a lot of these was trying to figure out and start it on my own. I didn't have a blog, in fact the first version of Selling The Couch Blog was like three pages, because I just had stuff up. I think as Selling The Couch grew I think more and more folks in our field started reaching out, wanting support in launching a podcast. I was like, "I might as well." I'm happy to teach what I've learned along the way, but to answer your question of who would be good for starting a podcast, well, I think a couple of things. I actually believe that not everyone should start a podcast. I think part of it kind of depends on where in your career you are. I think a podcast really makes sense where, when you're in a point in your career where you're ready to scale. Meaning that you're ready to think more about not just trading time to create income, meaning seeing client, get paid, maybe thinking outside the box of like maybe you've got a book that's on the horizon for you. Maybe you'd like to launch courses down the line. I think one of the things I've just realized being on this online platform or in this online space, is it's good to have some kind of a platform where we're sharing our message, whether that's podcasting or video bloggings, something like that. I chose podcasting because one, I'm an introvert, and the thought of doing video is absolutely terrifying. I'm also a perfectionist, and the thought of editing, and I've personal experience where you're editing a blog post a whole bunch of times, I was like, "I just don't have time to do this." I love writing though. I'm getting better at video, but I just thought the audio format was a good way of communicating. There's something just, I think, very intimate about the podcast audio experience. Essentially, long and short, it's someone who's ready to scale a business. Maybe someone that feels like they have a bigger mission than beyond just their practice, like they really have ... For example let's say your passion is internal mental health, and you feel like you have this voice, this mission to serve a better world, I think podcasting also could be an option for you there as well. Roy: Do you think Rob and I should start a podcast? Should we be doing this right now? Melvin Varghese: Yeah, I just know you got this. Absolutely, [crosstalk 00:42:36] ... I think both of you guys, just on a serious note, I think both of you guys have gotten to a point where you're seen as experts in the tech space within the field. I think being able to share more of that knowledge and wisdom out there, I think it makes a lot of sense, and I like the fact that podcasting is still new, relatively new, hence growing. It's not a super saturated space like some of the other mediums. Rob: Interesting, you talked about doing podcasting because you're afraid of video. We actually started this as a video venture several years ago, and then got busy and now we're like, "Well, maybe we should do a podcast." Melvin Varghese: Right, circle back around. Roy: It's the hip thing everyone's doing, right? Rob: Let's tell you some of the ... it fits that schema that you talked about, where podcasting might be a good option for them. How do they get started? What's the first thing they should do? Melvin Varghese: I actually don't ... I think the first step is to not buy a bunch of gear. I actually [inaudible 00:43:44], make a step back and think about ... I guess the number one mistake that I see a lot of podcasters make is that they don't have a monetization strategy in place for their podcast. I think a podcast should be absolutely about giving and should be about service, but if we're going to invest time into a medium, we should be thinking about, "How am I going to monetize this beyond just sponsorship?" I think just a really basic exercise that I like to do is think about what your podcast idea is, and then just make a list of some of the things that you want to do for your career. Let's say you want to launch workshops or let's say you want to do courses or you want to be a paid speaker, because when you start to ... if those are kind of the endpoint, I'm just the big idea of seeing what that is and working backwards. Let's say you want to be a paid speaker and you want to do certain conferences, for podcast guests and things like that, it may make sense to actually reach out to folks who've done talks at those conferences, people who are like coordinators of those conferences, things like that. As long as they align with the vision of what your podcast is about. That's where I would start, and then I would also look at what are the existing podcasts out there. I'm all about trying to take that wisdom and knowledge, and then making our podcast unique. Let's say there is an existing podcast out there, and it's ... I don't know, once a week, and it's an hour and a half conversation, maybe what you do with your podcast is you do a shorter podcast. Maybe yours is more like 20 minutes or maybe it's multiple times a week, but it's like a 10-minute little quick tip kind of podcast, stuff like that. I think just thinking about ... I don't know, I think looking back now I think the planning part of a podcast, as opposed to the recording and buying gear, the planning part I think, the folks who spend a lot of time thinking through that as opposed to just jumping in, "Hey, podcasting is brand new, let's jump in," I think those are the folks I have noticed that tend to do really well with podcasting. Roy: Nice, that's really, really helpful. Okay, great. One thing that's interesting is you're not talking about using podcasting to say find new clients for your practice, that's not really what you're talking about here. Melvin Varghese: Well, you could do both. We've definitely had colleagues that are getting new clients for their practice. What I would do is I would start with existing products and services that you offer, whether that is individual therapy groups, whatever, and then think about ... For example, let's say you, I'm just going to make up stuff, like on body image for example. Maybe one part of what you want to do is you want to create a podcast episode around some aspect of body image, and then at the end of that podcast episode what you may want to do is share the group and where they can find it on a website. I'm a big believer that you should ... 98% of the time you should direct podcast traffic to a website and a specific place on the website. The reason for that also, is because we're just finding that podcast listeners tend to be really unique. One, they're extremely loyal, I think the latest stats state like 85% of podcast listeners listen to most if not all of a podcast episode. When folks are listening that much to an episode you're more than just a random website, you are someone that they know, like, and trust. You want to ... You've given them valuable free content, and then what you want to do is you want to take them to a specific place on the website where they can learn more if they're interested in going deeper. Roy: Nice. Well, that's really helpful, Melvin, thanks. Rob: Did your original plan take you where you thought it would? Melvin Varghese: Oh no, and that's the thing, like when I first started Selling The Couch a couple of things happened. I was meeting with two of my other friends who are colleagues, and we were meeting about once a month in my friend's apartment. We were all wanting to do a private practice, and we were like, "How do we figure this thing out?" We were listening to just a bunch of things, and one thing that emerged was how isolating private practice was, and then how ... it's like a lot of the business and marketing stuff, like there's a difference between being a clinician and a business owner. A lot of times we don't have that knowledge about how to run a business. The idea for the podcast came from that as, "What if I have honest conversations with successful practitioners about what's working for them in their practices? Then how do I also teach some of the other things that we can do with our skillset?" Things like, "How do we use social media like Instagram to attract clients? How do we think about e-mail?" For example, right? Melvin Varghese: Securing that e-mail, all of those different challenges, that's where I think it came from. There was about a five to six month delay between my idea and when I actually launched because I was absolutely terrified. Roy: As someone who jumps into things really fast, I can tell you that I know you're terrified, but delaying could be really helpful, making sure you got everything figured out. Melvin Varghese: I think it was, like I think it was like a blessing in disguise that I did delay, but I was definitely scared, but I think there is a quote that all of us have a ... we have a mission, and all of us have a people to serve basically. I think once I said, "You know what," I didn't anticipate that my mission would be to help my field, learn all these, but I think once I just sort of owned that I think it became a little bit easier. Not that it was like all the fears and stuff went away, but I don't know. I think the other side of that is, Rob, if I had waited to do all these I just don't think I would ever had started, because I would have been like, "You should probably learn about this before doing a podcast." Rob: All right. Actually one of the questions we toyed with is our signature question, if you weren't doing this what would you be doing? Melvin Varghese: Man, if I wasn't in the mental health field or podcasting? Roy: Podcasting, that's it, podcasting. Melvin Varghese: I would probably be ... Gosh, that's a great question, I have so many interests in life, which is why this is really hard. I would either probably do, be a landscape photographer or I would probably ... Oh man, you know it's interesting because I think this is actually in some ways what I envisioned doing with my life. It feels weird to actually arrive there and do it, because I think my initial vision was I was just going to be in private practice. I just never envisioned thinking about the blog and some of the ways I could be able to grow it. Roy: How cool, right on. Speaker 5: Describe comes with over a dozen activities to be used with clients of all ages. Find out more in describecards.com. Rob: We got one more question for you. Are you willing to answer a semi-random question from my Describe Deck? Melvin Varghese: All right, I'm going to take a deep breath, but yeah. Roy: We don't know what the question's going to be. Rob: What makes you happy? Melvin Varghese: I think really building a career focused on my family, and building it based on being able to serve the world in bigger ways. I alluded to this earlier, but like this year we're using some of the proceeds from Selling The Couch to end human trafficking, and then also make education more accessible for kids who wouldn't be able to afford it. I think as a son of an immigrants I think that's the sort of thing that's just so important to me. I think doing something bigger, and just little thing like being able to have dinner with my wife. I used to work a couple of nights a week in private practice and not ... for me, not having to do that now, because I just ... I don't know, that me-all and that time together is just important to me. Rob: [Inaudible 00:52:47]. I'm able to get to that [inaudible 00:52:48] I think. I think you're looking at that's what success is right there. Rob: For those who aren't aware I have seen the preview video of a program that you call Healthcasters, for those that are interested in getting involved in podcasting, I highly recommend that they check out your Healthcasters program. Can you give us a brief description of what you do with that? Melvin Varghese: Yeah, of course. Healthcasters evolved out of folks in our field just reaching out, wanting support of their podcasts. In 2015, I launched a course and a community for health, wellness, and fitness podcasters, folks who feel like they really have this mission to serve the world, and they want to do it through podcasting. I do free monthly webinars to learn more about podcasting, and then we also have this wonderful course in community, we're over a hundred members now, quickly growing. I've got a course that outlines step-by-step in terms of everything I've learned along the way of how to launch a podcast. We have a community where you get 24/7 support, and then we have monthly workshops because podcasting is such a new medium and it's rapidly growing, and it didn't feel right to leave a ... give a course and then be like, "You guys, are off on your own." Roy: Right, right. Right. That makes sense. Rob: Well, I encourage everybody that's interested in that to check Healthcasters out on ... Is there a URL? Rob: Or you should just go to the Selling The Couch website and find it? Melvin Varghese: Yeah, absolutely. If you just go to Selling The Couch and then there's a section called Work With Me, and it's right under there. Rob: Excellent. Thank you, Melvin. We very much appreciate having you on. It's our first day. Melvin Varghese: Me too, it's great. Melvin Varghese: Thanks guys, I'm so honored that you guys would reach out, and then I get to be one of the first guests. I'm excited for you both. Roy: I'm so glad Melvin came by. He is such a sweet man. I could listen to his voice all day. Rob: It was great to have Melvin here. I love to hear him talking about podcasting. I love his energy, and that's a great example of another way that you can use technology, podcasting isn't for everybody, but it is a way that you can base your practice. Roy: That's true. You know what, actually, speaking of growing the practice and advanced stages, we actually haven't mentioned if there's any difference what a group practice needs. Can you just say a couple words about that? What are the little differences? Rob: There's a couple things we talked about today that might be impacted by growth when you're talking about a phone system. We talked a good bit about using this phone and maybe having another phone in your pocket, but when you get to a group you may need multiple extensions. You may need an actual dedicated phone system to address that. Some of the technologies we talked about could address that. The other thing is within EHR there's a lot of EHR's out there that are focused on solo clinicians or work better. You certainly want to make sure the one you're choosing is going to scale well, whether you're a solo practitioner now hoping to grow under a group or already a group. You want to make sure it handles things like different permission levels per administrative staff and treatment coordination, and how you're going to generate reports for payments to clinicians if they are employees or contractors. There's a lot more to take in there. Roy: That's true. There's HIPAA issues that you kind of touched on there too, which I'm sure we'll talk about in one of our many HIPAA episodes. Rob: Something makes me think we're going to cover this again in more detail. Roy: Well, it looks like we're about out of time for our Therapy Tech Hour, Rob, we might want to sign off for this time. Rob: This was a lot of fun. I'm looking forward to more and more episodes. We'd love to hear from everybody about what topics they'd like for us to cover, and subscribe to the podcast newsletter so you know when our next one's coming out. Roy: Right on. See you guys, next time. Speaker 1: Thank you for tuning in to Therapy Tech with Rob and Roy. This episode has been sponsored by Therapy Appointment, you provide the therapy, we provide the rest. Find out more in therapyappointment.com. Episode notes and helpful resources can be found at www.therapytechrobroy.com. Until next time, may your wifi be strong and your coffee even stronger. *TherapyTech with Rob and Roy forms affiliate relationships with companies we have vetted. Kenny, thank you for your kind words about the podcast! These are all great suggestions for topics and definitely ones we have discussed. Hearing from people that they are important will definitely bump them up in our queue. We hope you’ll be pleased to know that Episode 104, released in September, will cover the Ethics of Social Media use!